Reuters UKGibraltar's leader on Monday cast EU Council President Donald Tusk as a "cuckolded husband taking it out on the kids" for explicitly proposing that Spain be given a veto over the ties between the British enclave and the European Union after Brexit. Asked about the EU stance on Gibraltar, Prime Minister Theresa May's spokesman says only had draft guidelines, will wait to see what is agreed by EU 27 at the end of the month. Spokesman for Theresa May says will not be sending task force to Gibraltar. Reuters UKThere will be no change to Gibraltar's sovereignty without Britain's consent, British foreign secretary Boris Johnson said on Monday. Gibraltar's leader scolded EU Council President Donald Tusk on Monday for giving Spain a right of veto over the future relationship between the British enclave and the European Union after Britain leaves the bloc. There will be no change to Gibraltar's sovereignty without Britain's consent, British foreign secretary Boris Johnson said on Monday. "The sovereignty of Gibraltar is unchanged and is not going to change, and cannot conceivably change without the express support and consent of the people of Gibraltar and the United Kingdom, and that is not is going to change," Johnson said on arrival at a meeting of EU foreign ministers in Luxembourg. Gibraltar's leader says the territory will not tolerate being a bargaining chip or victim of the Brexit negotiation. MORE: Gibraltar's leader says European Commission President Tusk is behaving like a 'cuckolded husband who is taking it out on the children' by allowing Spain to include a reference to Gibraltar in the Brexit guidelines. Gibraltar's chief minister calls on EU leaders to remove reference to Gibraltar from draft Brexit guidelines. UK foreign secretary Boris Johnson says the sovereignty of Gibraltar is unchanged, it cannot change without the consent of Gibraltar and Britain. Spain, at loggerheads with Britain over Gibraltar, appears to be easing its opposition to an independent Scotland in the European Union, saying it would not block such a move at least initially. Britain is "steadfast" in its commitment to Gibraltar and will work with the territory on the southern tip of Spain to secure the best possible outcome from Brexit talks, Prime Minister Theresa May said. The European Union on Friday offered Spain a veto right over the future relationship between Gibraltar and the EU after Britain leaves the bloc, a move that could smooth Brexit talks but also dash Gibraltar's hopes to win a special status. Northern Ireland's main political parties will resume talks on Monday to break a deadlock that threatens devolved government, the cornerstone of peace in the province for almost two decades, the British government said. Reuters UKThe European Union's top diplomat said on Friday the effect of Brexit on the bloc's joint defence and security operations would be minimal, following a veiled threat from London that it could curb such ties with the alliance if divorce talks turn sour. MORE: Secretary of State for International Trade Liam Fox said that this was also in the UK's interests and that reaching such an arrangement with Switzerland was a priority. Swiss government says it aims to reach a follow-up arrangement post-Brexit as swiftly as possible. Reuters UKNegotiations about a future free trade agreement between Britain and the European Union can take place only after the contours of the Brexit divorce talks are clear, a spokesman for German Chancellor Angela Merkel said on Friday. 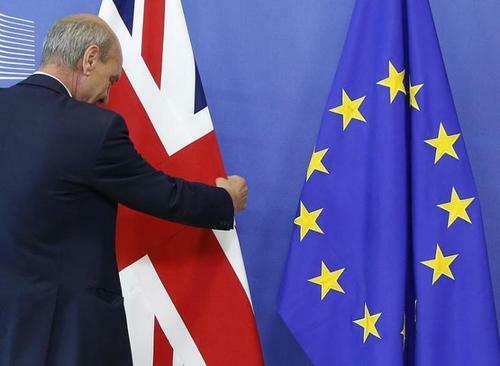 Reuters UKEuropean Council President Donald Tusk sent draft Brexit negotiating guidelines to leaders of Britain's 27 EU partners on Friday, hoping to agree them on April 29 so that negotiations on British withdrawal can begin. 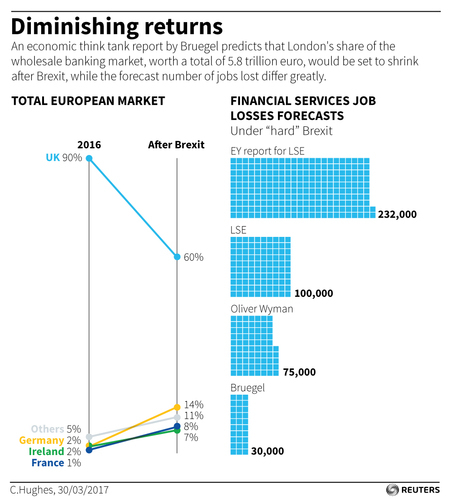 Berlin to benefit from Brexit wave? 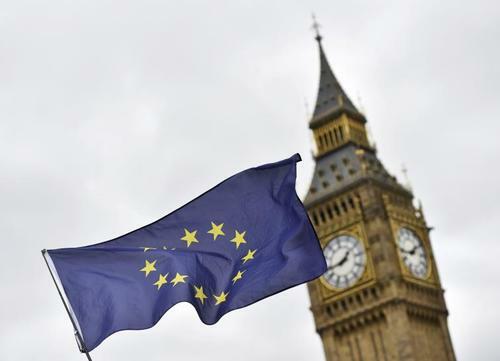 Draft negotiating guidelines from the European Union show a constructive approach ahead of negotiations on Britain's exit from the bloc, a British government spokesman said on Friday. "It is clear both sides wish to approach these talks constructively, and as the prime minister said this week, wish to ensure a deep and special partnership between the UK and the European Union," the spokesman said, in an email distributed from Prime Minister Theresa May's office. Draft EU negotiating guidelines issued on Friday showed the EU is ready to talk to Britain on a future free trade deal before the two sides agree final terms on Brexit. EU council President Donald Tusk said the talks would be difficult and sometimes confrontational. Spokesman for Theresa May says it is clear both sides with to approach Brexit negotiations constructively. Our duty is to minimise uncertainty, disruption caused by Brexit for citizens, businesses & Member States. It's about damage control. Only once we have achieved sufficient progress on the withdrawal, can we discuss framework for the future. No party in British talks to leave the European Union is interested in using security issues as a bargaining chip, EU Council President Donald Tusk said on Friday, after Britain warned of weaker cooperation if no deal is struck. "No one is interested in using security as a bargaining chip," Tusk told reporters in Brussels. He added that he did not see comments by British officials questioning future security cooperation as a threat. "It must be a misunderstanding," Tusk said. "Our partners are decent and wise partners." Reuters UKThe European Union is ready to talk to Britain on a future free trade deal before the two sides agree final terms on Brexit, draft EU negotiating guidelines issued on Friday show. Reuters UKThe British government set out on Thursday how it will handle the mammoth task of converting European Union laws into domestic legislation in preparation for its exit from the bloc, seeking to ease business uncertainty about life after Brexit. 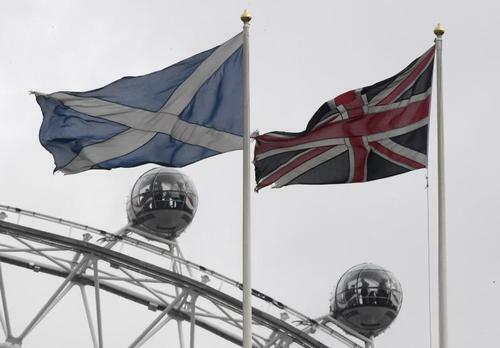 Reuters UKScottish First Minister Nicola Sturgeon has written to Prime Minister Theresa May formally demanding that she allow a second referendum to be held on Scottish independence ahead of the United Kingdom's exit from the European Union. Reuters UKThe European Union will tell Britain on Friday how it aims to negotiate its "orderly withdrawal" from the bloc, limit uncertainties for businesses and pave the way for a close future partnership. German Finance Minister Wolfgang Schaeuble told a German newspaper the European Union should take a tough stance in negotiations with Britain over its exit from the bloc after more than 40 years of membership. British Prime Minister Theresa May on Wednesday formally notified Brussels of Britain's intention to quit the EU, triggering two years of talks to negotiate the terms of the divorce. "We want to keep the Brits close but there are no rights without obligations," Schaeuble told the Friday edition of regional newspaper Osnabruecker Zeitung. Schaeuble said the key task in Brexit talks was to minimize damage to both parties but he added that would be tough due to the many complicated issues involved and the two-year timeframe. Britain will not maintain its current access to the European single market if it does not accept the rules associated with it, he said. Schaeuble said the aim was not to punish Britain and Brexit would hurt Britain and all other countries in Europe anyway. "But it is of course important that we keep the rest of the EU together," he said. Schaeuble said EU member states should be prepared for Britain to try to play them off each other but warned that they needed to be united in talks with the London government. Reuters UKThe European Union is wary of Prime Minister Theresa May's call for swift negotiations on a post-Brexit free trade deal while Britain is still settling its withdrawal terms, but the bloc is not ruling out early talks. 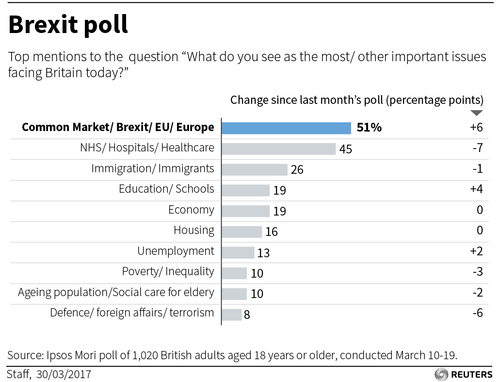 Poll: What do people see as the most important issues facing the UK today? 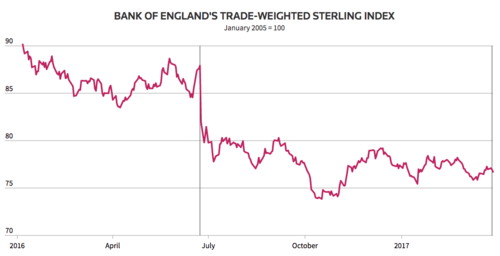 How is Brexit affecting the UK's economy, markets and immigration levels? Reuters UKLuxembourg has formally joined the fray over the future seat of the European Union banking agency which will have to relocate from London after the Brexit vote, claiming that it has a legal right to host the body.